Have you ever wondered why do we do the things we do? Specifically, what motivates us and how can we learn to channel motivation when it’s lacking? Perhaps we should consider a more appropriate question: how can we ensure that we construct an environment that allows us to feel motivated, and overcome automatic negative thoughts? Mastering motivation is incredibly important, especially when it comes to the last few parts of the year. Nearing Term 4, students seem to be the most demotivated and complacent that they ever will be in the school year. I’m here to tell you not only why you need to snap out of that complacency, but also give you a few useful tips on how. 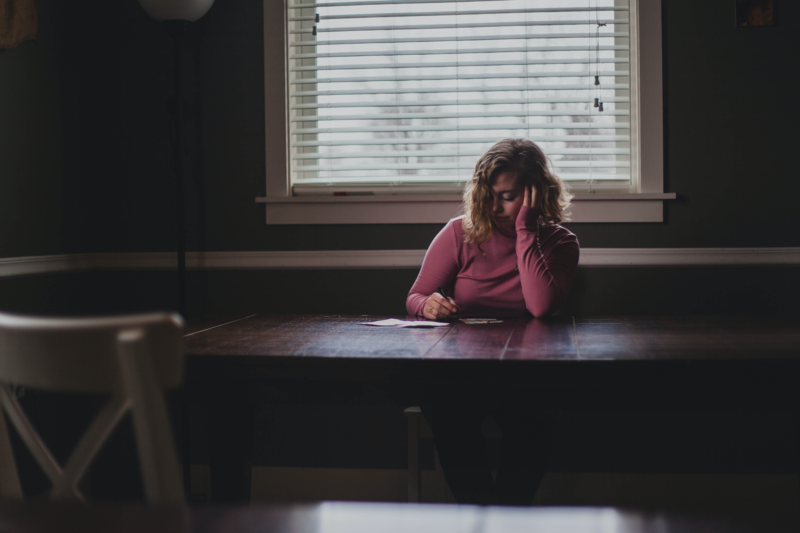 Regardless of whether you are a naturally talented student, or you are sincerely struggling to even participate in class, you should definitely read on. Before we chat about Term 4, and why it’s important to stay motivated for the last 6 to 8 weeks of the school year, I’d like to chat about some key factors concerning motivation. 2) motivation from internal sources (intrinsic). The main debate regarding these two categories of motivating factors poses the following question: which form, intrinsic or extrinsic, is the most effective for driving consistent, constructive behaviour? As of 2017, some interesting research regarding this debate has arisen. Psychologists have recently reported that offering excessive external rewards for an already internally rewarding behaviour can lead to a loss of intrinsic motivation; a phenomenon known as the over-justification effect. For example, showering a student in gifts – when they are already satisfied with their personal improvement – may be detrimental. This is not to say that external rewards are not important, however. They are certainly beneficial in some situations. For example, incentives can induce participation, encourage the acquisition of new skills, and can be a source of reinforcing feedback, subsequently enhancing confidence. In my opinion, it is definitely okay to reward young children with that chocolate bar, and teenagers with the latest gadget on special occasions – BUT it cannot be too consistent to the point where students EXPECT rewards, nor can it be the ONLY reason for them to continue the behaviour. When it comes to education, in order to engage consistent interest and commitment to learning, a student must feel like they are serving a purpose and are proud of themselves and their efforts. 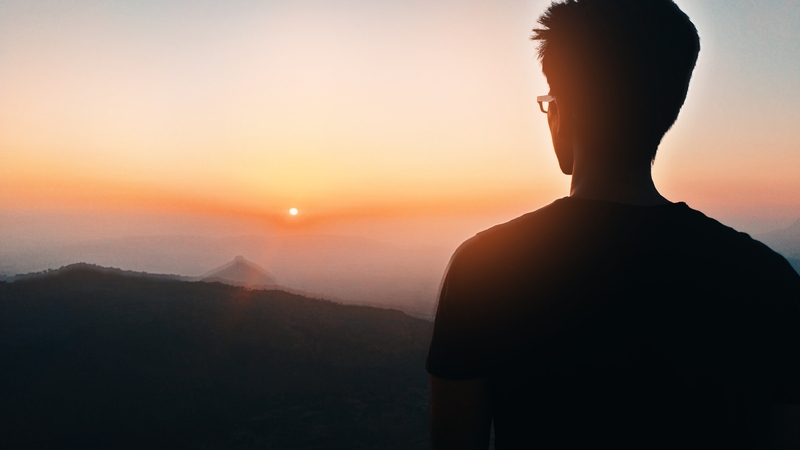 According to the renowned humanistic psychologist Abraham Maslow, the feeling of personal achievement, often deemed self-actualisation, is the greatest need and point of achievement for human beings. This indicates that perhaps external rewards will never provide the same gratification as self-actualisation. And yes, you guessed it – self actualisation is achieved through intrinsic motivating factors. 6) ensure you have a strong emotional support network. If you find that one of these factors is missing in your life, it is of paramount importance that you take a step out towards it! Doing these things continually will greatly increase your personal drive and hunger to achieve, without any need of extrinsic reward. 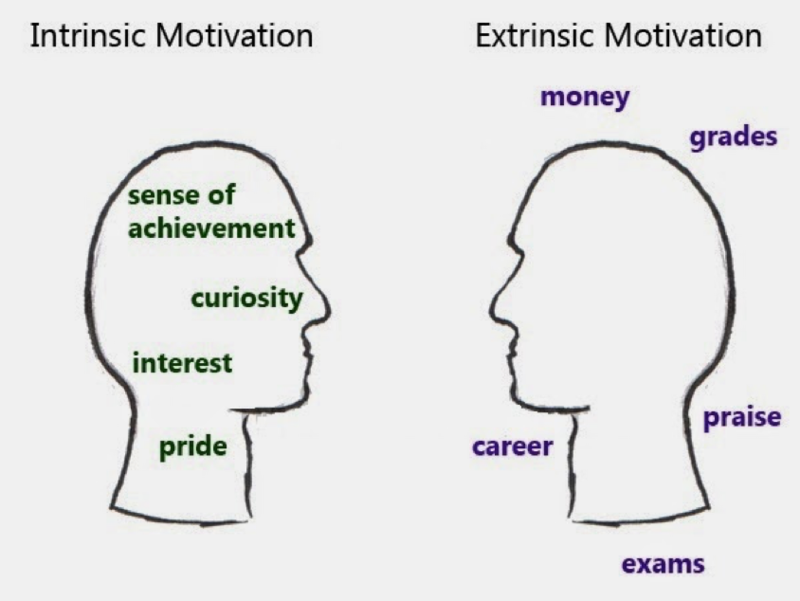 Now that we have clarified the difference between extrinsic and intrinsic motivating factors, I’d like to bring to your attention a controversial myth regarding motivation. Dr Harris is Australia’s foremost provider of the psychological therapy called Acceptance and Commitment Therapy (ACT). This particular therapy aims to maximise individuals’ potential, teach psychological skills to deal with negative thoughts, and helps clarify what is truly important and meaningful for each individual in life. “Sooo… what’s this motivation trap?” I hear you ask. In essence, what Dr Harris has recognised is that humans have a tendency to believe that if they do not feel an intense sense of motivation to do something new, or start something, they believe that they can’t do it at all. For example, it’s common for students to leave the assignment to the last minute as they don’t feel motivated to do it. I’m sure you’ve done it more than once or twice in your own schooling life! But what Harris questions is: what if motivation is overrated? What if, whilst you’re waiting on motivation, motivation is waiting on you? The point is, committed action comes first and motivation comes second. It’s a strange concept, I know. But maybe motivation does not precede action; rather, action precedes motivation. Thus, although your emotions may try to deter you from committing to action by saying, “I’ll do it tomorrow”, or “it’s not due for a week”, if you make the conscious decision to take valued action and explore options, perhaps you will begin to notice that motivation is not essential to begin with. Rather, it develops as part of the package, as you begin to enjoy what you do! Now that we’ve discussed what motivation is, and dispelled some of the myths surrounding it, we’re in perfection position to discuss what I’ve heard students call “The Bludge Term”. Term 4 is just as, if not more important than every other term in the school year. I know that straight off the bat, you are hesitant to believe me – but it’s true. As a student, your results are taken in from the entire school year, and analysed according to how you did. However, something you may not know is that your later results are often deemed of more importance than your grades from early on in the year. This is especially true in senior years (Year 10 – 12), and is paramount in knowing if you are in Year 12. When it comes to your end of schooling results, I know you are tempted to let loose, throw those assignments off you, and get out of the buildings you’ve been confined to for all those years. You want to party, celebrate, and have fun in the big, wide world beyond school. However, if you do this before Term 4, and you lose your motivation too early, it will impact your final results, potentially making an impact on your future career or education aspirations. We think that once QCS is over, and your major exams for Term 3 are past, you have no need to worry, as there’s only one or two assignments in Term 4. However, the schooling system works in such a way as to monitor your continual process, and actually gives higher weighting to your last few results than your first results. This may seem strange, but think about it: this way, you are not measured only by your results, but also in how you have worked hard to improve your results. The more you have improved across the year, and worked harder and harder to achieve better and better with each term, the higher chance you have of your final marks being as astounding as they can be! This definitely counts for students from other years as well – your final marks are of paramount importance. So, do not dare slack off during the last few weeks of school you have left. As I spoke about earlier, falling into the motivation trap is easy – work hard to avoid it. If you don’t feel like working hard in Term 4, and just want to focus on the social events and big celebrations, remember what I mentioned before. It doesn’t matter that you feel more motivated towards the social elements, rather than the educational side that is still ahead of you – action precedes motivation. Get started, get excited, and get focused! The sooner you start running towards high achievements in Term 4, the sooner you will find yourself motivated to achieve them! If you’re struggling to find how exactly to unlock your motivation, do not worry! There is a second part to this blog that will go into detail as to how you as a student can unlock your motivation – keep an eye out for its release soon!